Developed specifically for safety caps. Penetration, impact, chemical and voltage resistant. Popular rain trough design, 6-point suspension, with built-in nape snaps. Flat front panel allows hot stamping of company identification. 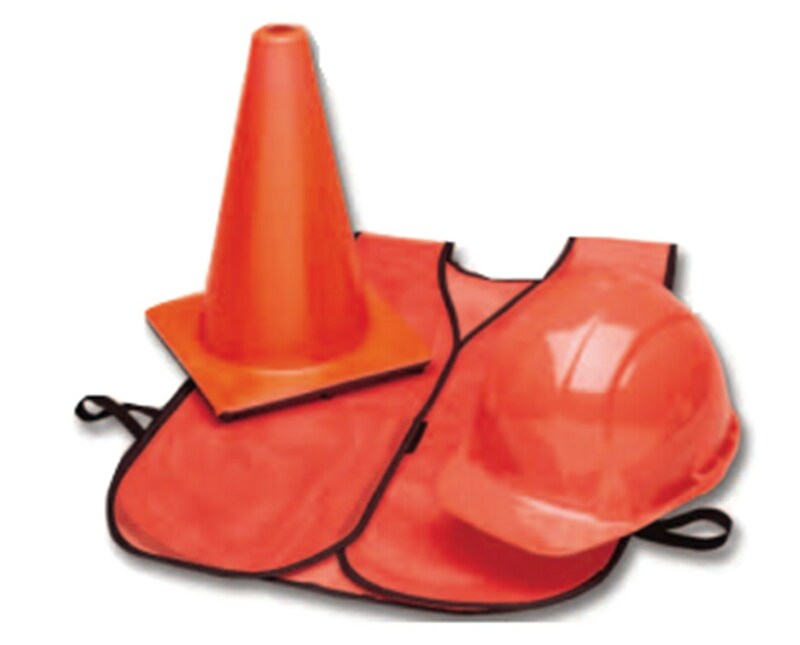 Complies with OSHA requirements ANSI Z 89 1-1969, Class A and ANSI Z 89 2-1971, Class B. Note:Cap is white though it is shown in orange. Safety hat only. 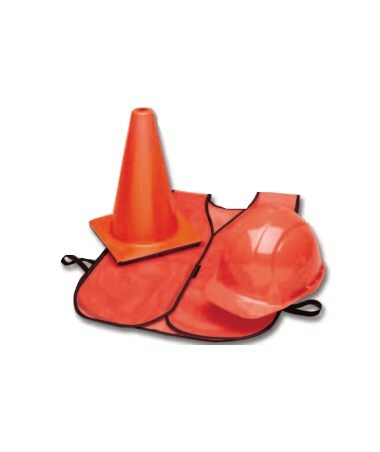 Safety vest and cone sold separately.